All donations (in Israel and in the USA) are tax deductible. If you are joining the Chai Club, please specify. 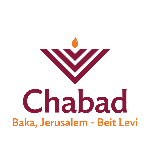 If you are registering for the Shabbat Dinner, please specify.